4. keeping informed of developments in work practices, graduate destinations etc. and changing practices and programmes as a result. 3. contribution to whole-of-sector and/or whole-of-system developments in tertiary education. The lifecycle of a student enrolment from to first click on a provider’s website all the way through to the management of an alumni record. Where do we knowingly and unknowingly start to collect information about our students and where do we keep it? What is the value of this information/data and how can we access it? How can we better streamline the process of the enrolment from a data point of view? What information are we allowed to access or share? How can we keep our information safe? What information should we share with our students or staff? What technology is available to manage data (with preferred rates) for New Zealand Education providers? How can we prepare ourselves for future data protection regulations? How can we use all this to drive better student outcomes or convert more enquiries to enrolments? The New Zealand Government is making changes to post-study work rights for international students, coming into effect on 26 November 2018. Celia will lead us to go through the latest policy changes in her session and share some information of the other upcoming changes in the next year. ENZ is New Zealand’s government agency for international education, which is the country’s fifth-largest export earner. International students participate at every level of our education system, from early childhood education through to PhD study at universities. More than 106, 000 international students studied at our institutions in 2017. This is an opportunity for providers to hear about current developments in international education and our education service exports, talk to Annabel about ENZ’s plan for the year ahead and how it relates to your establishment. 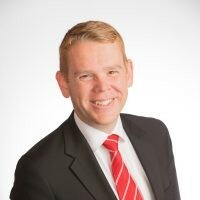 Hon Chris Hipkins is Member of Parliament for Rimutaka. He is the Leader of the House and Minister of Education and State Services, also the Minister responsible for Ministerial Services. 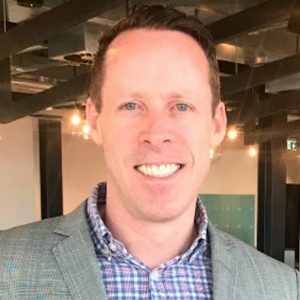 Chris completed the Bachelor of Arts majoring in Politics and Criminology at Victoria University and started working in the industry training sector. Before becoming an MP he also worked at parliament, first as Senior Advisor to two Education Ministers and later in the office of the then Prime Minister Helen Clark. Chris entered Parliament in 2008 and became the Spokesperson for Education at the beginning of 2013. He places a strong emphasis on social justice and believes that every New Zealander should have the opportunity to reach their full potential. He is a staunch advocate for and defender of our public education system. Chris believes that a free, quality education is the right of every child. Chris entered Parliament in 2008 and became the Spokesperson for Education at the beginning of 2013. He places a strong emphasis on social justice and believes that every New Zealander should have the opportunity to reach their full potential. Table talk will give members the opportunity to discuss, provide feedback and contribute to the Ministry of Education’s “Have your say” review of Education in New Zealand and what it should look like over the next 30 years. New Zealand’s success is in part determined by how we develop the skills of our people to compete and succeed in the labour market. Join Tim Fowler as he discusses how the Tertiary Education Commission is working with providers to invest in the education and employability of your learners. Within the tertiary policy landscape under the new government, there has been a change in focus and priorities. This change is the result of having a single Minister responsible for the entire education portfolio and a joined up Education Work Programme. As significant though is the change in the way the new Government expects us to work with the sector on policy development, with a focus on co-design and collaboration. The government has identified health and wellbeing as a core focus for supporting international students. Students are digital natives. By using the same mobile device they shop, message friends or do their banking, online medical consultations lower the barrier for students to get help, and remove the need to travel to the Doctor. Doctor2Go has partnered with the student mobile app Niesh and engaged with student insurance providers to improve access to nurses, Doctors and mental health practitioners using video conferencing. Matthew will also outline how biometric integration is being used in New Zealand to provide personalised medical advice. He will discuss the ethical considerations of health data ownership and the future impact of Artificial Intelligence and Blockchain technologies. In today’s digital world, more than ever we are faced with many challenges as Institutions, Teachers, Trainers and Assessors, as we forge ahead providing digital content and e-learning to facilitate students learning. The challenges around digital capturing of evidence lie around ensuring validity, security and authenticity and the perceived requirement to be especially “tech savvy” as the Educator or Teacher. Amanda Grassby & Amanda Offen will show you how to take the best of innovation and technology and creating a new look digital assessment for solving the challenge. 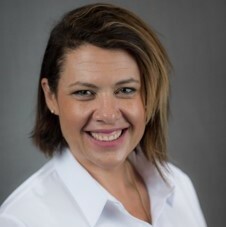 The Co-Founder and CEO of Next Software Solutions, Amanda Grassby, has over 25 years’ experience in teaching, education management, business development. Together with her business partner, Amanda has developed the NEXT concept from the ground up, recognising the need for a time efficient, sustainable software product, which would be beneficial not only within the education sector, but any sector which required the demonstration of compliance to industry standards. Amanda Offen is Co-Founder and Managing Director of Next Software Solutions. She has been working in the Vocational Education and Training sector as Operations Manager for the past 3 years responsible for registration and audit in addition to other operations. Based on her over 20 years’ experience in the Early Childhood sector in various teaching and management roles, Amanda has demonstrated the ability and experience in maintaining and demonstrating compliance, in addition to providing high quality Educational services. The two Amanda’s were honoured to receive the World EduTech award for Innovation in Education last year and have spoken at a number of International conferences since the inception of NEXT. Being a millennial migrant in this technological age brings some unique challenges. James will share the challenges he faced growing up as an immigrant in New Zealand, the lowest moments of his life, but also how all of that turned around in one moment and he found the direction in his life when he found the right support. He will also share what he is doing in his life and his business Niesh to open up access to this right support to students all across New Zealand. The Tertiary Education Commission is asking the sector to deliver a tertiary education system that works for everyone. This means doing much better for Māori and Pasifika. This session provides a look at promising practices, research and resources from Aotearoa New Zealand commissioned by Ako Aotearoa, an organisation focused on building educational capability of the tertiary sector. Celia Coombes is the Sector Manager of Education in Immigration New Zealand. Her role is to support the education sector to grow sustainably while managing risk to New Zealand. She has devoted much of the last 4 years (since taking this role) to increasing INZ’s engagement with the sector and transferring knowledge, data, and intelligence out to providers so that they can make informed business decisions. She works very closely with partner agencies such as Education New Zealand and NZQA. She is a Wellingtonian and hold Bachelor of Arts (Politics and Religious Studies) with Honours (International Relations) from Victoria University. She joined INZ in 2004, following 2 years of travel and work in the accommodation industry (Austria and Scotland). Celia has held a variety of roles within INZ, but have always been involved with the international education sector. 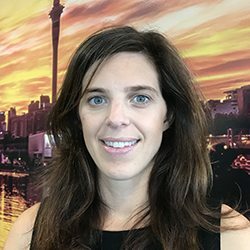 Annabel Robertson is ENZ’s Auckland based Business Development Manager and is a member of the EdtechNZ Board. Prior to this, Annabel worked at the New Zealand Embassy in Berlin and as an adviser on international security issues at the Ministry of Foreign Affairs and Trade. Murray Wilkinson is the National Sales Manager of the Hills AV Limited, the biggest suppliers of AV Technology to NZ and Australia. Murray has been at the forefront of technology changes like hearing assistance for Hearing Impaired, AV Distribution systems, audio visual changes from the humble data projector to today’s interactive touch screens, remote video conferencing and IT technologies. He has worked closely for many years with the educational sector and is advising members of ITENZ on current and future technologies and how to implement them into existing infrastructure. Dr Suzette Major is the Director of SAE Creative Media Institute. 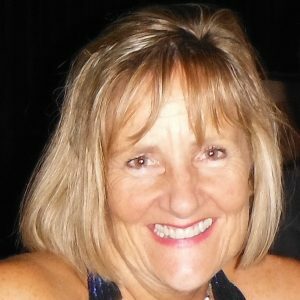 She holds over 25 years experience in education, having worked across PTEs, Polytechnics and Universities in New Zealand and Australia. As a manager, an educator and businesswomen, Suzette is forward-thinking, bold and passionate about the education, particularly within the context of the creative industries. Michael Miller heads the Film Department at SAE Creative Media Institute. Alongside his academic career, Michael has also worked as a promo producer for Mediaworks as well as freelancing as a film editor. 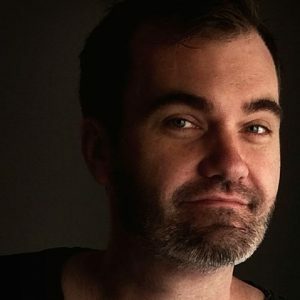 Michael’s colour, intense short films have screened at New Zealand and international film festivals and won critical acclaim including the University’s Geoff Evans Prize for Excellence in Screen Production. 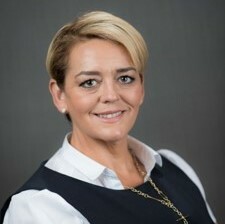 Helen McPhun has unique roles aligned with educating adults in vocational, corporate and academic contexts. 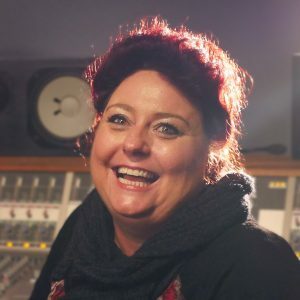 As the CEO of LEARNPLUS, she works across every industry imaginable to bring life to learning which brings learning to life and shares her recognised expertise to help promote quality learning. The Privacy Act is being reformed for the first time in 20 years. The new Bill will introduce key changes that you and your business need to be aware of. This session will focus on the practical impact of the intended changes and how you can get your PTE ready for new law. Mandatory reporting of notifiable privacy breaches. The Privacy Commissioner’s new powers. 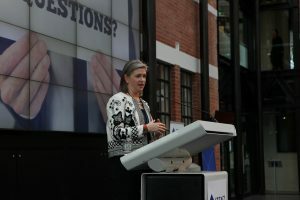 Helen Lomax (Te Aitanga-ā-Māhaki) is the Director of Ako Aotearoa. Previously she was Deputy Director, Sector Services for Ako Aotearoa, a role she has held since August 2015. Before coming to Ako Aotearoa Helen worked for the Tertiary Education Commission as Acting Manager, TES Priorities and Implementation and Principal Advisor Māori. Helen’s experience spans the tertiary education sector, government policy, and business and Iwi and community development. In this session we will discuss ways to turn a topic into a memorable and real learning journey. Regardless of the subject being taught a skilled educator can learn ways to weave this in to a memorable event by having students live key learning points and experience their impacts. NZQA are raising the bar in terms of what they expect to see in Category 1 organisations, and are increasingly focused on how PTE management are collating and analysing data for decision making. This workshop will include examples of best practice specifically for how to engage teaching and management staff in effective self assessment. How can we empower students to become capable, confident learners and subsequently sought-after employees who value lifelong learning? How will we know they have achieved the GPO’s and how will we present the evidence? These can be challenging questions to answer without a theoretical framework to let learning happen. In this presentation, Linda will highlight several ways to empower student learning through activities that encourage self-determined learning, motivating them to become curious, capable and confident learners. The session will cover the technology changes in education over the past 20 years and new changes will happen in the future, including using Interactive Technologies, changes to lesson preparation, multi-campus conferencing, collaborative Learning Environments, off-Campus study and revision, avoiding pitfalls with moving technologies, and implementing change-Knowing where to start. Dr. Suzette Major & Michael Miller will present the outcome of a research project entitled 48 Hours of Teaching, in which they explore the ways in which pre-existing industry events such as the 48 hours Furious Film making competition can feed into the student learning experience. 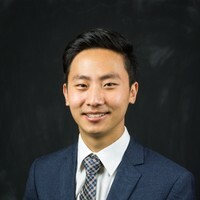 Eun Hoi Koo, or better known as James, is a 24 year old entrepreneur from South Korea. James moved to New Zealand as an international student in 2001 and 17 years later, he is now the founder and CEO of Niesh, a government funded social enterprise with a mission to improve the New Zealand student experience. Having started his company in 2016, James has been working with academic institutions and business partners in Auckland to support students both inside and outside the classroom, and his company Niesh now serves over 23,000 active student users. 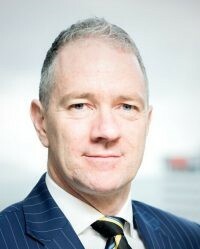 Tim Fowler has been Chief Executive of the Tertiary Education Commission since April 2013. He was previously Deputy Chief Executive, Quality Assurance at the New Zealand Qualifications Authority. 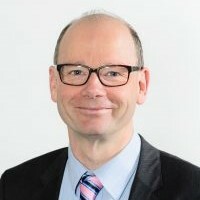 Tim has held international and management positions in Australia and New Zealand in both the private and university sectors after starting his career in the Department of Prime Minister and Cabinet. Tim has an Honours Degree from Victoria University, a Masters from the East-West Center and the University of Hawaii, and executive education from the Wharton School at the University of Pennsylvania and INSEAD. Sally McKechnie leads Simpson Grierson’s Public Law and Government team and is an expert public law advisor and litigator. She has an extensive background in the education sector and has acted as an advisor to the Minister and Ministry of Education, and for NZQA. Sally helps clients to use robust processes, navigate their compliance requirements, and in responding to student complaints and external investigations. 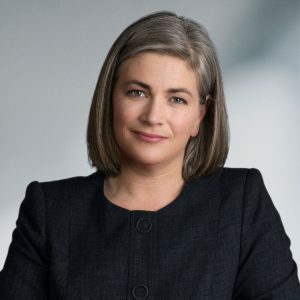 She has particular expertise in information and privacy law and appears in the Human Rights Review Tribunal for agencies responding to complaints. Dr Grant Klinkum is Deputy Chief Executive Quality Assurance of the New Zealand Qualifications Authority (NZQA). 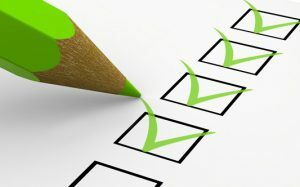 NZQA sets the rules for quality assurance in the tertiary sector in New Zealand. The Quality Assurance Division is responsible for managing approximately 500 non-university providers in relation to entry, maintaining quality through moderation and consistency, carrying out evaluations of provider quality and managing risk. NZQA administers the New Zealand Qualifications framework and the Education (Pastoral Care of International Students) Code of Practice 2016. Grant has the unique standpoint of someone who has worked for private and public providers and has worked for both the funding and the quality assurance government agencies. Prior to joining NZQA in early 2014, Grant spent seven years at the Tertiary Education Commission (TEC) in senior management roles. During that time Grant led engagement with the tertiary education sector as General Manager of Tertiary Investment. 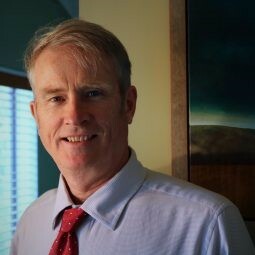 Prior to the TEC, Grant worked as Deputy Chief Executive at an Institute of Technology and Polytechnic and has worked as a Dean of Faculty at two tertiary education organisations. Grant has a PhD in Political Science from Victoria University of Wellington, a Master’s in Education Administration from Massey University and a Master of Arts degree from the University of Canterbury. Drawing on NZQA’s recent work in reviewing the NZQF and introducing micro-credentials, Grant will reflect on broader changes required in the evaluative quality assurance system. Andy Jackson is the Group Manager, Tertiary Education at the Ministry of Education Te Tāhuhu o te Mātauranga. The Group is responsible for policy, strategy and analysis for the whole post-compulsory education and training system including regulation, funding and student financing. The Group works closely with partner agencies including the Tertiary Education Commission, NZQA, Ministry of Social Development and Inland Revenue. Andy has a 20-year career in public policy and operations, most of it in New Zealand. He has previously managed teams responsible for labour market, immigration and tertiary education policy at the Ministry of Business, Innovation and Employment, and the Tertiary Education Commission, where he also worked in operations. He has also worked as a Senior Analyst at the Treasury on a diverse range of issues including serving as advisor to the Treasury Secretary. Andy has a Post-Graduate Certificate in Public Policy from Victoria University of Wellington, and a BA in Philosophy, Politics and Economics from the University of Oxford. He originally comes from the north of England, before moving to London where he worked as a researcher at the House of Commons. 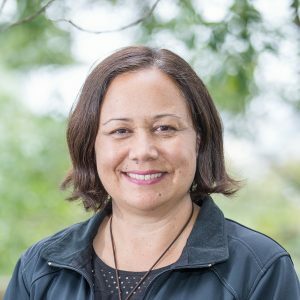 Dr. Mei Winitana Ngāti Ruapani ki Waikaremoana/ Ngai Tūhoe/ Taranaki whānui ki Waiwhetu Mei is Kaiwhakahaere Māori – Senior Manager Māori, and has worked for Ako Aotearoa for two years. 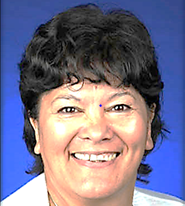 Previously she lectured in the Post-Graduate School at Te Whare Wānanga o Awanuiārangi, supervising research students. As a contractor, she includes experience in programme evaluation, teacher education, and workshop facilitation. She actively practices and contributes to hapū and marae development by learner mentorship, and wānanga-style learning focussing on whāriki, weaving, whakapapa and te reo Māori. Her research interests include indigenous teaching and learning methodologies, adult learning, and development of Māori women. Misa Kolose Lagavale joined the Ako team January 2018, he is passionate about Pasifika Education and the achievement of Pasifika learners in the tertiary sector and has worked in three government organisations i.e. NZQA, MOE and formerly Career Services (now TEC) alongside other organisations. An experienced educational quality assurance manager, an independent contractor with a demonstrated history of working in education management, mentoring and facilitating engaging workshops. Skilled in intercultural communication, internal and external evaluations, career development, analytical skills, and coaching. He also acquired IT systems architect and analytics, e-learning platforms and coding systems administration to accommodate future technology disruptions. 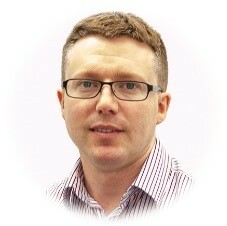 Matthew Jackson is part of the team who invested in Doctor2Go, the first online medical practice in New Zealand. Doctor2Go lets the patients have a video consultation with a doctor from the laptop, tablet or mobile. It’s a multi-tenant platform with a range of service providers using the platform to provide in-home ACC pain management, sexual health advice, sleep apnea services, mental health and primary care services. Matthew Jackson is involved with community and education projects that enhance digital learning either. 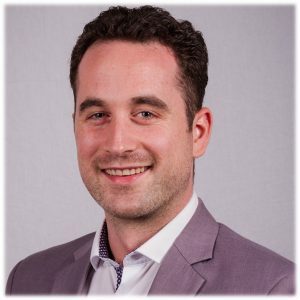 David Straub is the director of SEBDATA and a database professional, reporting and analytic consultant and have worked in the New Zealand Education sector for the past 5-6 years. He is a passionate expert about data, data visualisation and the daily use of data to make better decisions for students, staff and organisation. 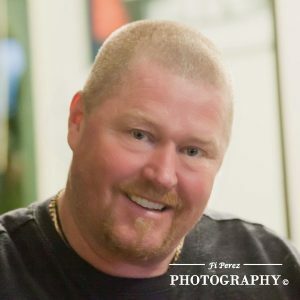 David has a degree in Business Administration, focused on statistics and worked my way through all the common, commercial database systems and reporting tools in use. After migrating to New Zealand form Zurich, Switzerland, he worked his way through other industries into education before incorporating a consulting business. He has been the director of SEBDATA for three years and advising education customers on how to better utilize their data and apply specific analysis for better decision making. 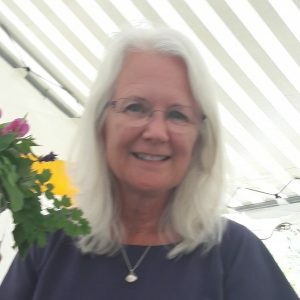 Until recently Linda Daniell was a senior lecturer at EDENZ Colleges and Programme Leader of the New Zealand Diploma in Adult and Tertiary Teaching (NZDATT6), which offers a professional learning experience for teachers, trainers and facilitators in the adult and tertiary sector. 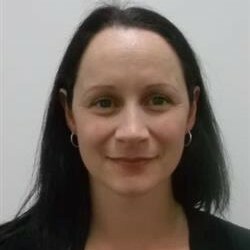 She continues to lead NZDATT(6) and is now also the colleges’ Quality, Compliance and Professional Development Manager. In this role she will be able to share her passion for learning and teaching both staff and student to engage participants in a deep learning experience. Pieter Watson is a Director in NZ’s only tertiary consulting firm, PTE. During his 20 years experience in the tertiary sector, Pieter Watson helped TEOs achieve success with NZQA compliance, accreditation, programme and degree applications and monitoring. He has assisted multiple organisations achieve Category 1 EER status, by focusing on effective self assessment. James Elliott is a practising lawyer and MC, columnist and comedian. 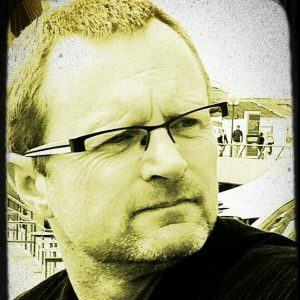 His weekly “Yesterdaze” column is published on www.newsroom.co.nz and he is a regular contributor to Radio NZ’s “The Panel” and “The Week That Was”.